I couldn’t resist buying this contour kit after seeing so many bloggers and gurus rave about it. I must say, this kit is totally worth the hype! I don’t know how I ever lived without it! It’s super easy to find a nice highlighter but finding a matte bronzer deep enough to contour with can be extremely difficult for us darker gals. Especially if you’re not looking to spend an arm and a leg. However, Sleek totally nailed it with this kit! Check it out! This compact was totally a steal at just $8.50! You get a gorgeous shimmery gold highlighter and a dark brown contour powder. Sleek offers this kit in 3 variations: light, medium and deep. Of course, I picked up deep. 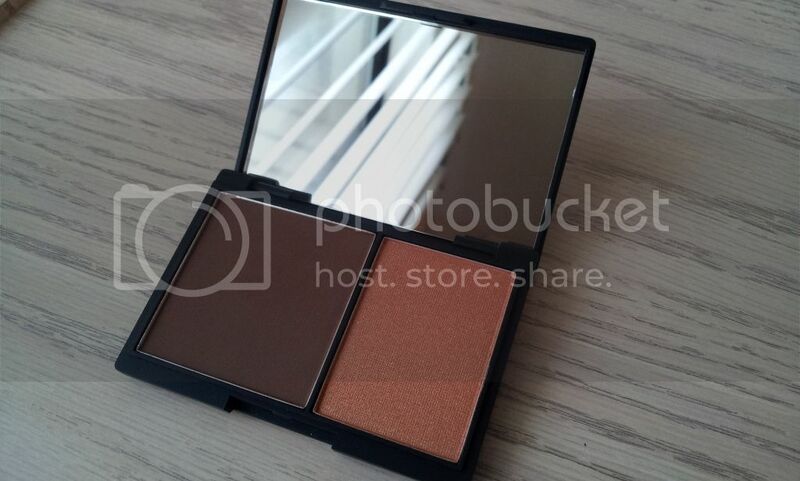 This version comes with a really deep brown contour powder and a deep gold highlighter. Perfect for the brown ladies out there! One thing that I absolutely adore about Sleek is that their products have excellent color payoff. 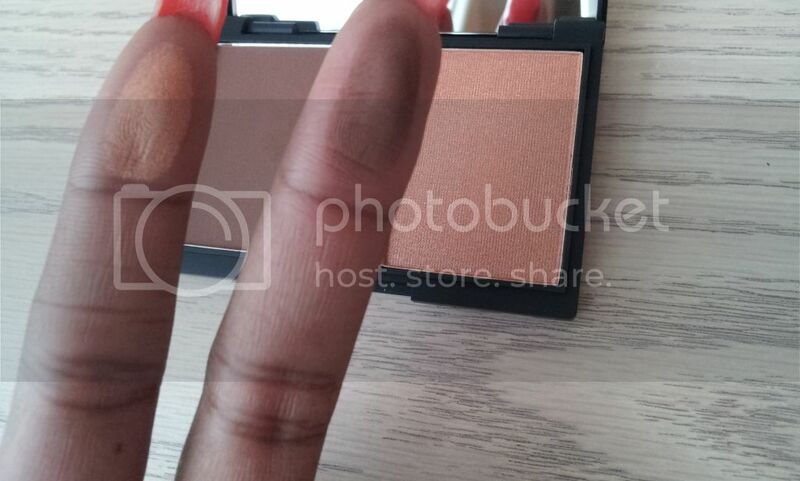 Both the highlight and contour powders are extremely pigmented! I usually only need one swipe of the contour powder and maybe two of the highlighter. What I love the most about this kit is the contour powder. The shade is perfect for contouring. It doesn’t come off orange or ruddy looking at all. It structures my face perfectly! When I ordered this kit I intended to only use it for nights out and such but I use this kit every day. It completely transforms my face. I LOVE it! Although my favorite part of this kit is the contour powder I really like the highlighter as well! It’s actually the most pigmented highlighter I’ve ever used it. My cheeks have a beautiful sheen to them in no time. It instantly warms my face and gives me such a nice glow. Plus, it’s very buildable without a glitter overload. I honestly can’t think of one negative thing to say about this kit. The only downside is that shipping from the UK takes a little while but I didn’t find their shipping time unreasonable. It took maybe a week to receive my haul and I ordered during a sale. Otherwise, this kit is picture perfect! It lasts throughout the day, fits my tone well and has great color payoff. 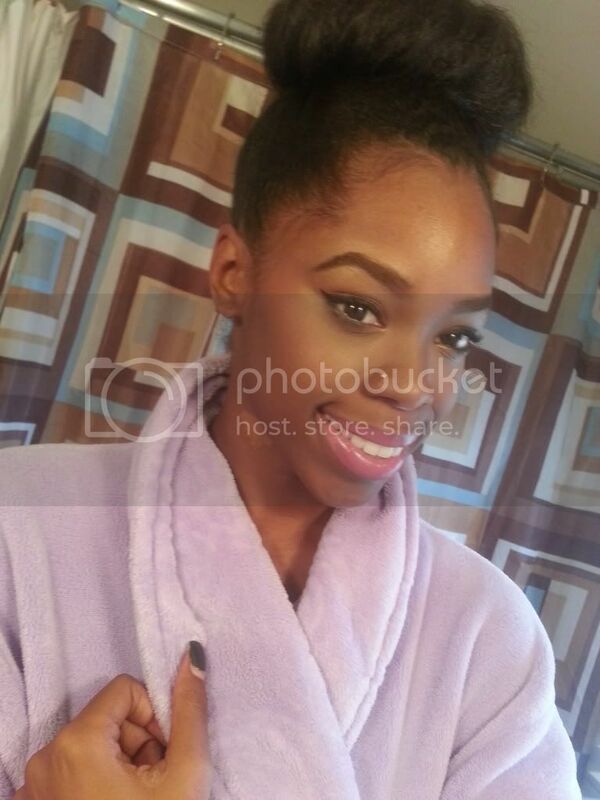 Plus, the end result is always so natural! It’s a staple in my makeup bag and definitely a must have! You can snag your own from Sleek! This is really gorgeous! I am waiting for a contouring kit to arrive from Senna but I only ordered the one for lighter skin tones. After seeing your beautiful picture I really want to have this in my kit for darker skin tones. Can you provide a website to order from?? Thanks for sharing! Great color combo! Looks very natural on you. what brush do you use! Great look!